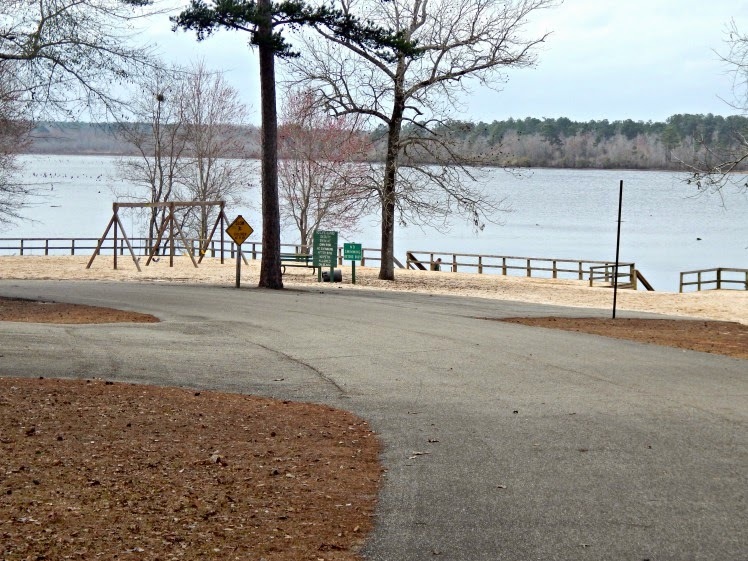 If you’re looking for a place to bring your family on vacation to make memories and enjoy the great outdoors, you should check out Little Black Creek Campground and Park located in Lumberton, Mississippi. 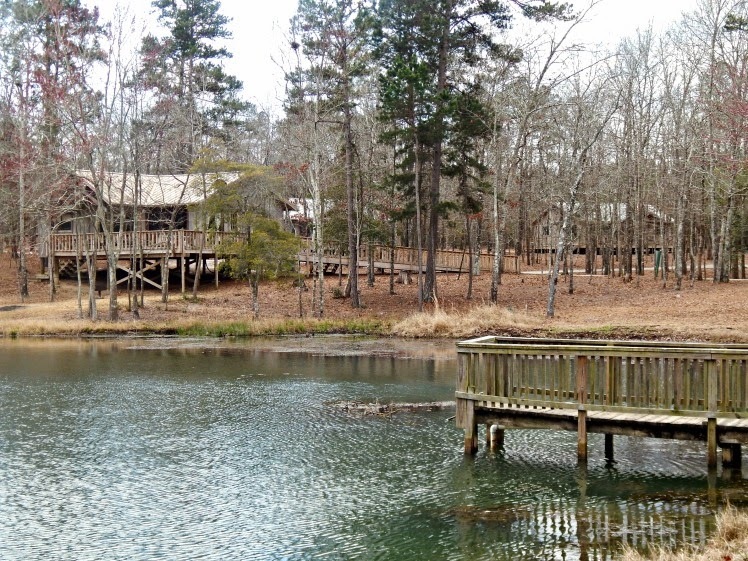 A 640-acre lake surrounds the picturesque Campground and Park. 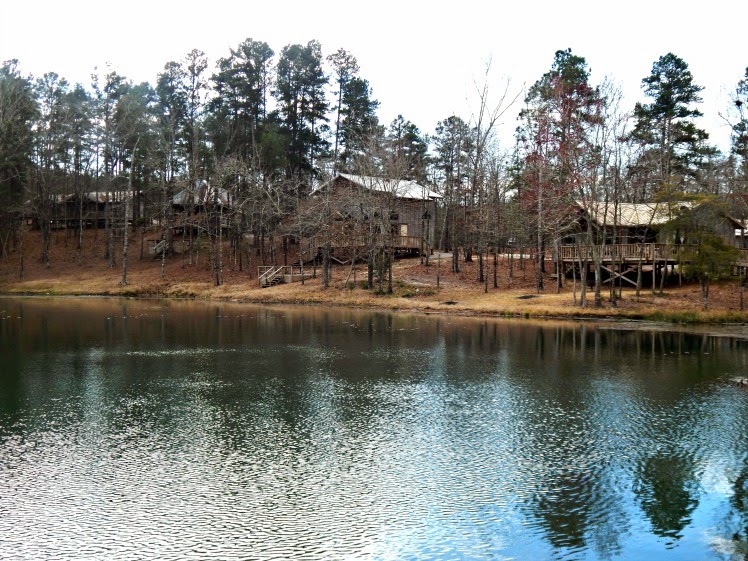 The Campground once owned by the State of Mississippi now operated and owned by the Nettles Family. 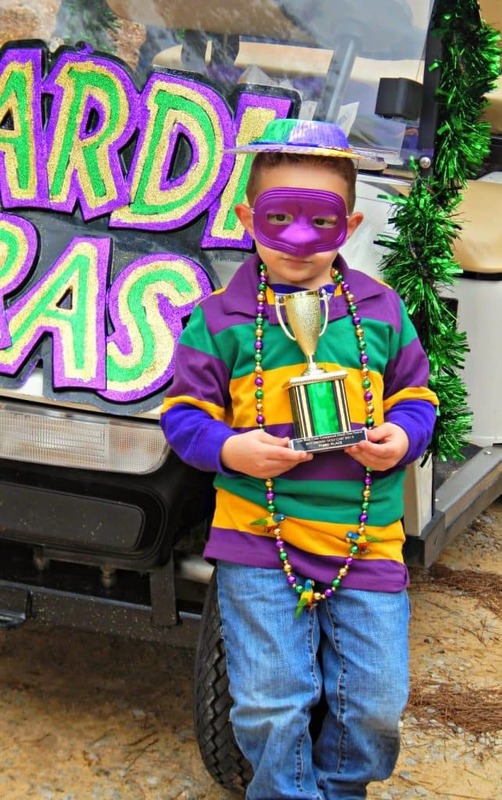 I had the pleasure of meeting the Nettles Family when I stayed at their beautiful Campground with my family during the Mardi Gras Holiday. Whether your family enjoys pitching a tent, staying in the comforts of a cabin or RV enthusiast they will enjoy their stay at Little Black Creek Campground and Park. 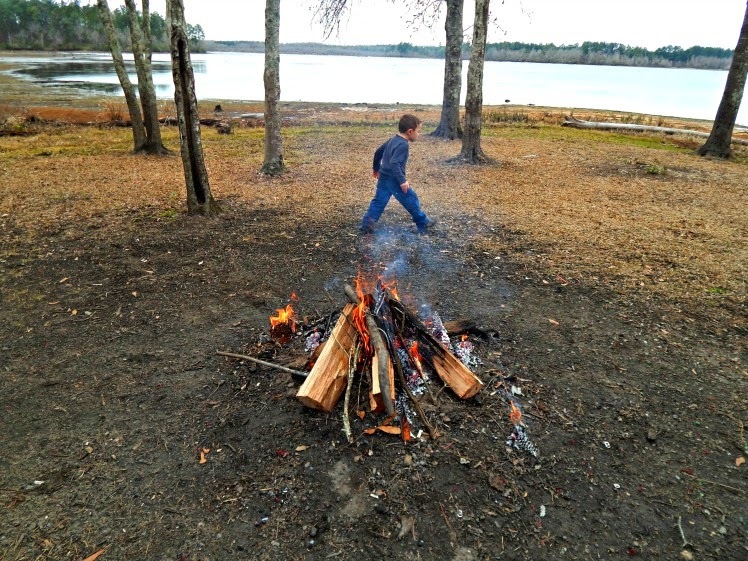 The Campground provides a great family atmosphere, affordable rates, and lots of activities. 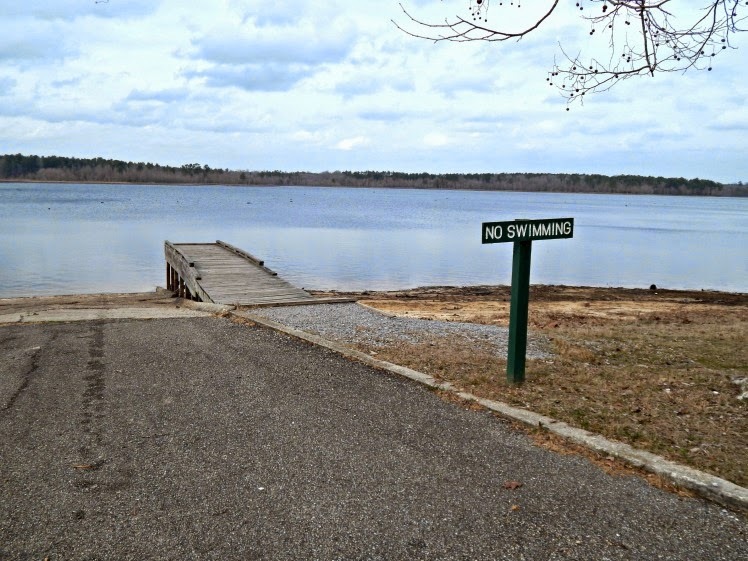 Here’s some of the activities that this first-rate Campground and Park provides: fishing, swimming (beach area), nature watching, walking trails, bike riding, kayaking, canoeing, Aluminum Boat rentals (no water skiing allowed), Boat Dock, Golf Cart rentals, Horse Trails, Zip Lines, picnicking, playgrounds and year-round events! The Nettles Family and their staff are always looking for new ways to make your family’s stay memorable. You never know when you visit what new attractions you’ll find. 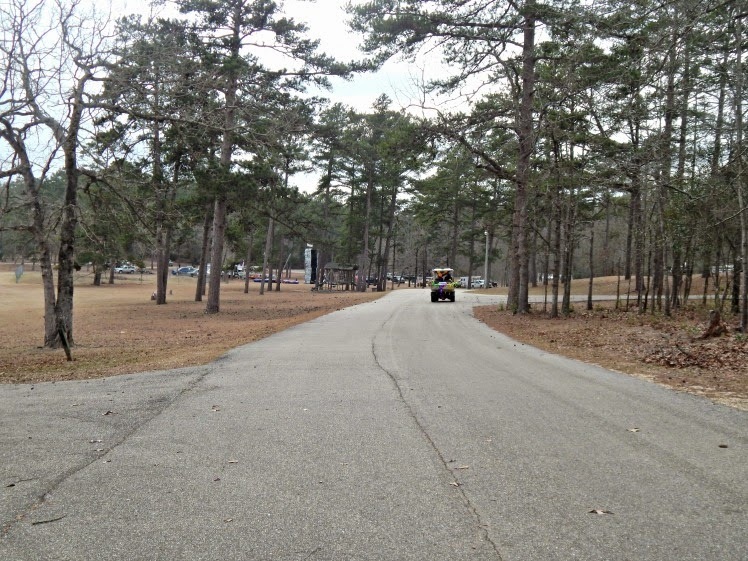 Here’re a few pictures from my family’s stay at Little Black Creek Campground and Park. The Campground has waterfront cabins, bungalows, and inland cabins. My family enjoyed relaxing by the lake in the afternoons and roasting marshmallows over the fire pit by our waterfront cabin. When it was time to go indoors we enjoyed a fire in the fireplace while watching television. The park also offers campsites with full hookups, no sewer sites and primitive sites. One of the many fishing piers in the Campground. My little boy caught his first Fish ..lol! Just the right size for him. 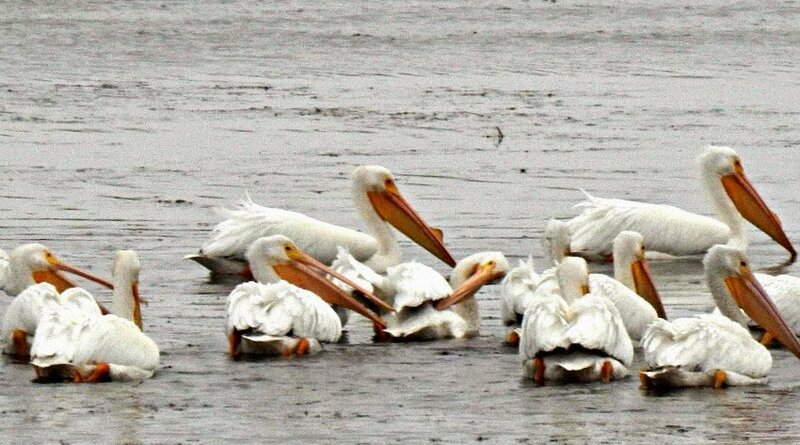 When I woke up in the mornings I enjoyed sitting on the back porch watching the beautiful American White Pelicans. They were pretty to watch especially when they opened their black tipped wings. 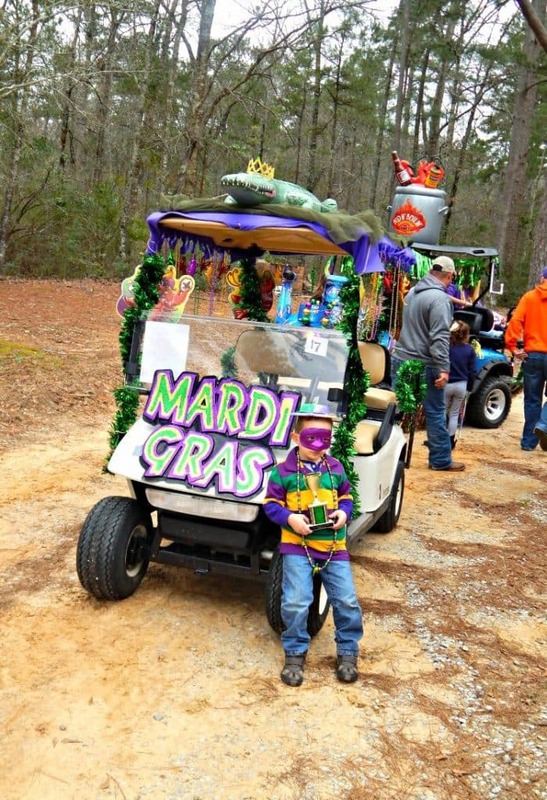 While my family was staying at Little Black Creek Campground we participated in the First Annual Mardi Gras Festival .We actually won 3rd place for the “Best Dressed Golf Cart” . Getting the Golf Cart prepared for the Parade. The parade was so much fun. It was the most fun I had in a long time! Considering the weather there was at least 20 Golf Carts that participated in the parade. 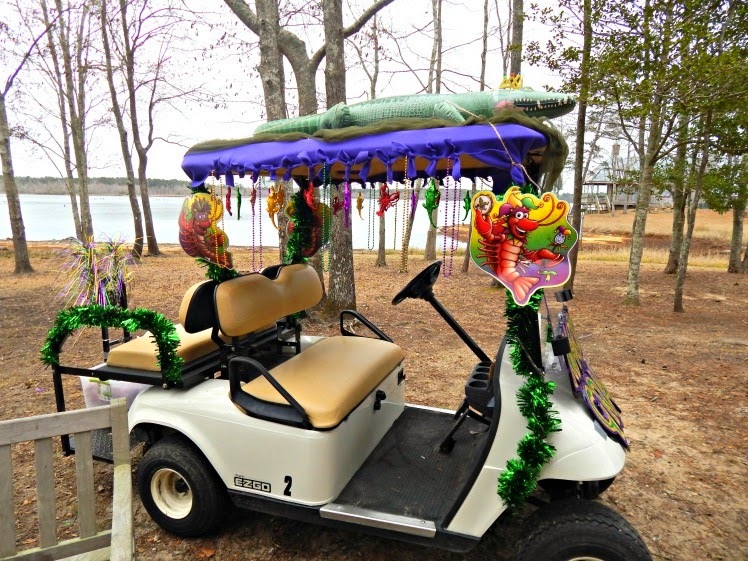 If you didn’t own your own Golf Cart you could rent one from the park. I was surprised by all the people that turned out to watch the parade. It was a great family event! There was also, a Gumbo cook-off after the parade. My little boy proud of the trophy! 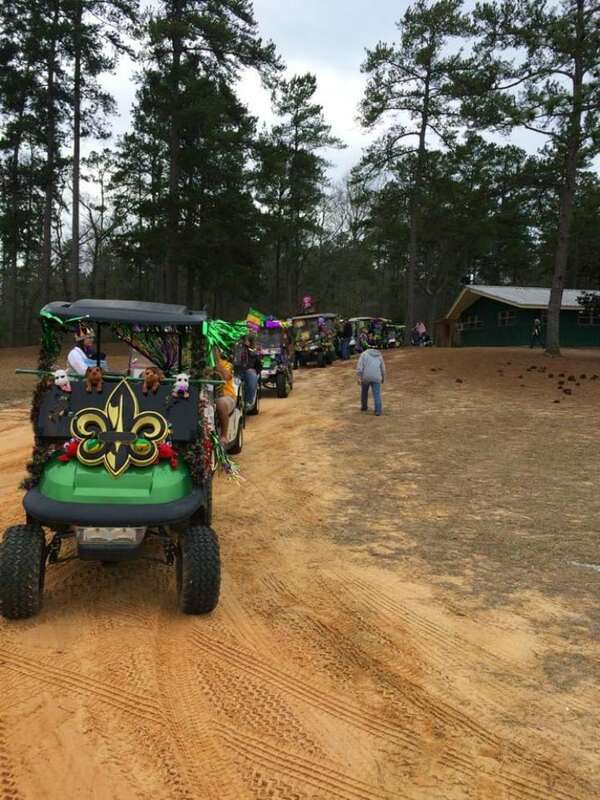 A Golf Cart driving to the Camp Store after the Parade. Also, you’ll find at Little Black Creek Campground and Park a camp store where you can buy propane, ice, snacks, and various fishing supplies. A laundromat, covered picnic areas, etc. 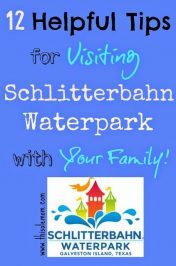 My family enjoyed our stay at Little Black Creek Campground and Park so much that we’re already planning another weekend there soon. If you’re lucky enough to live near the park or find yourself passing through Lumberton, Mississippi, you should stop even if it’s for the day. It’s excellent for families or for anyone that’s looking for a great place where people will treat you like family! 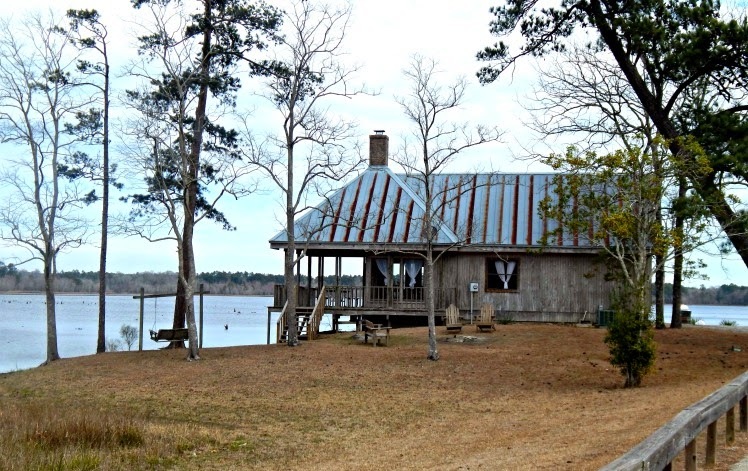 To learn more about cabin rates, campsite rates, day use rates, events, or availability at Little Black Creek Campground and Park call 601-794-2957 or check out their website here. 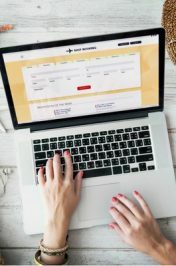 *I recommend when booking a cabin to ask what you will need to bring. Also, don’t forget your camera and bug spray. Bring several pairs of shoes for your children. And, be prepared for any weather. I think the people at Little Black Creek are some of the nicest, and friendliest people I have met. They’re there to answer your questions and help you out in any way they can to make your stay at Little Black Creek enjoyable! Fun! I love going to outdoor events with my family! Your son looks like he's enjoying it! What an awesome place Kim! I can see your son was having a blast! Congrats to him on his first fish! My teen would love to spend the weekend here, looks like they have some really cool activities for the entire family. This looks so fun! My family loves camping. So many special memories made while we camp. 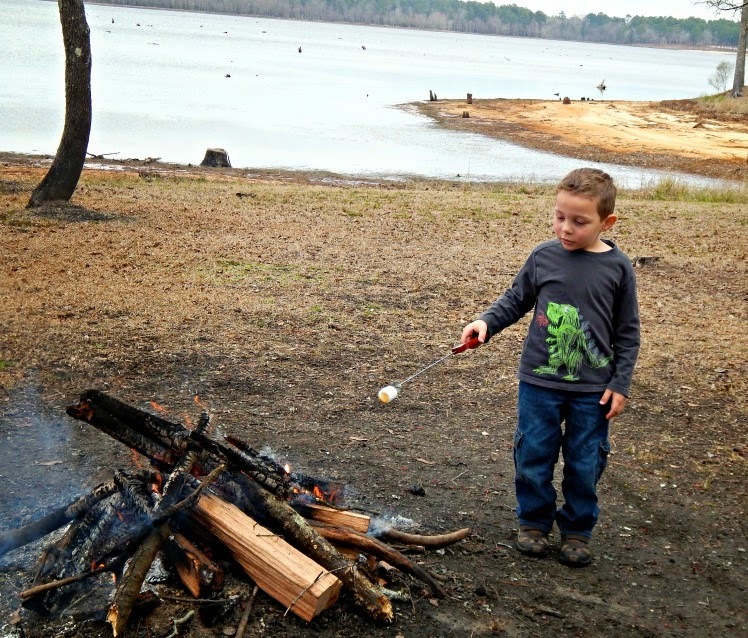 I love those white pelicans and after seeing your kid roasting marshmallows, I want s'mores 🙂 Great post! Looks like so much fun! 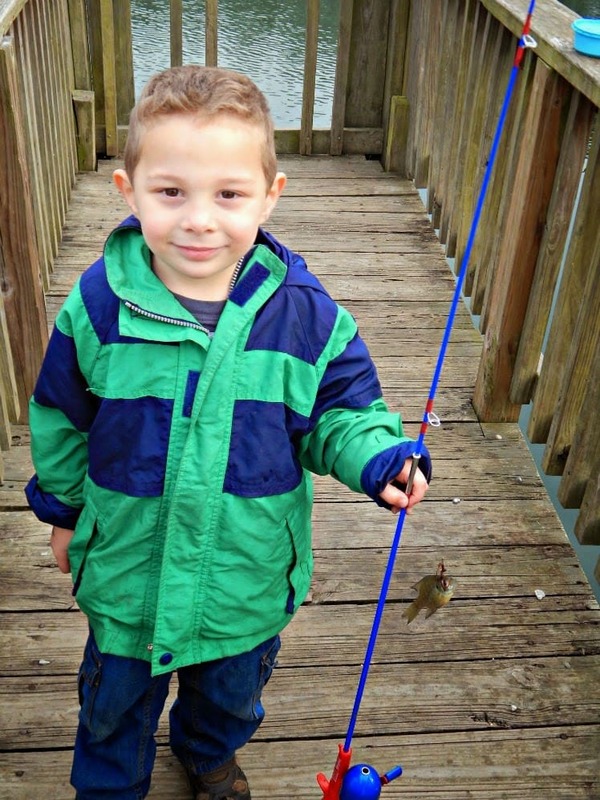 I love the little fish your son caught– I bet he was still excited!! Hi Gina! 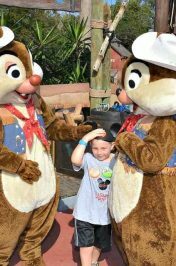 Yes he was very excited! I think the fish swam on his hook ..lol ! It was hooked in the eye and not the mouth. 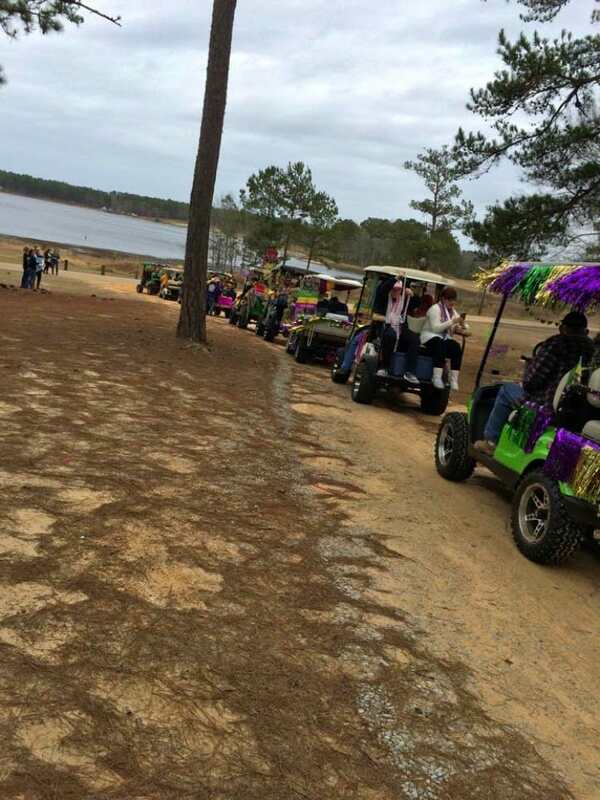 LOVE the golf cart parade….cute idea! Yours turned out great…super festive 🙂 My family and I went on a camping trip this summer and really enjoy it. The best part to me is the campfire with smores…..can't beat that! Now, if only I could find a way to completely rid the outdoors of mosquitos, I'd go a lot more often! lol. Thanks for sharing! What a beautiful setting. I really like the cabin right on the lake. 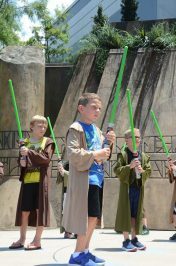 My family went camping last year and really had a blast, love getting outdoors and having fun with the kids. Oh my goodness this place looks beautiful!! 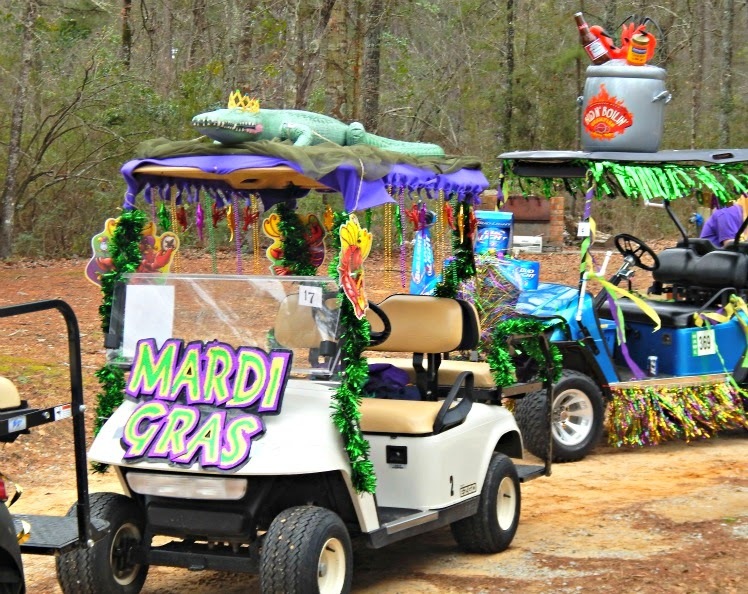 I love the Mardi Gras Golf Cart Parade, that is awesome!! I so wish I lived closer so we could visit. Hi, Kim! I was just googling information on Little Black Creek Campground when I came across your blog. Thank you so much for sharing you story! My boyfriend and I will be staying there for 6 nights with his parents at the end of the month. I was a little concerned about staying there since there were only a few photos posted on their website. I was wondering if you had any suggestions on what to bring for our trip? I know there are lots of outdoor activities available during the summer, but I just don't want anyone to get bored! & we want to be as comfortable as possible since we will be away from home for so long. Thanks again for posting about Little Black Creek! & I appreciate any advice you can give me! Hi Amanda, thank you for taking the time to read my post and leave a message. My family loves Little Black Creek and the owners are very nice, and usually at the campground. The employee's are friendly and are great about answering questions and concerns. If you are staying in a Cabin you will need to bring sheets, pillowcases, towels and washcloths. I recommend bringing an inexpensive round tablecloth for the inside table and cheap rectangle picnic tablecloth w/clips, bug spray, some kind of rope or portable clothes line (they don't have washer & dryer) so make sure to bring enough clothes. I would also bring extra shoes, bug spray, extra toilet paper, paper towels, and garbage bags. They have a little store on site that sells ice and other stuff. You can buy firewood there for making a fire in the firepits or you can bring your own firewood. They have barbeque pits, but we brought a small one. You'll need charcoal and bring alumnuim foil. You can bring your bikes and Golf Cart . You can also rent a golf cart for $70 a day. Oh and a laundry bag or hamper for your dirty clothes! I also brought paper plates and cups so I wouldn't have to do dishes. I hope that helps, Kim (they have dishes, utensils, pots and a microwave) Bring your coffee! I also brought an electric skillet to cook breakfast just quick and easy. Thanks so much, Kim! We're actually staying in two of the bungalows (24 & 29). I found a few pictures of them on Facebook yesterday of the inside. They look adorable! We're getting really excited. Thanks again for such a quick reply!